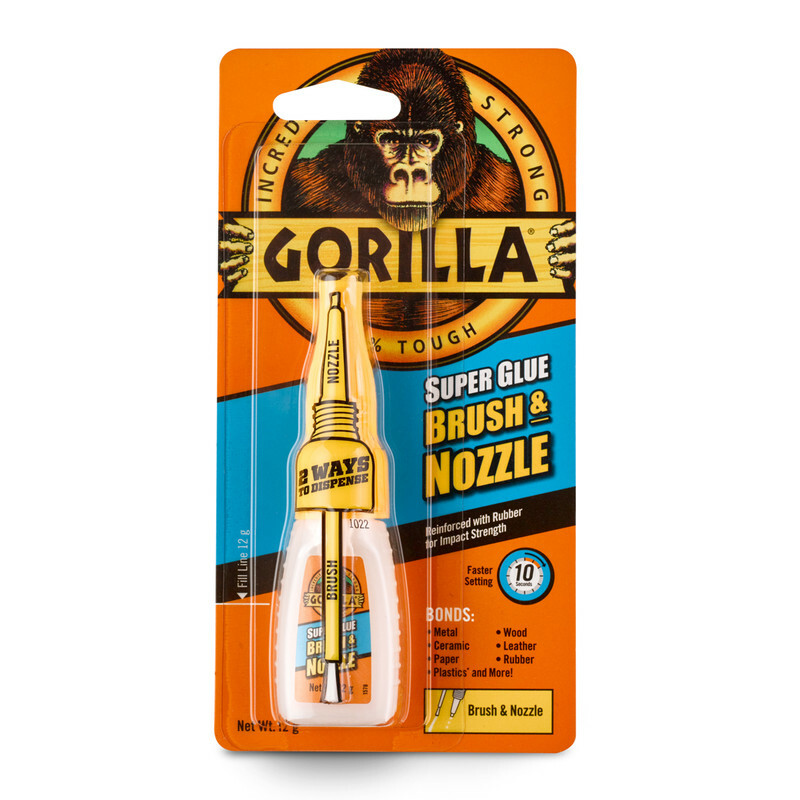 Fine bristle brush for controlled coverage with less mess and a precision tip nozzle for quick, easy dispensing. Bonds plastic, wood, metal, ceramic, rubber, leather, paper, and more. Dries in 10-30 seconds, no clamping required. 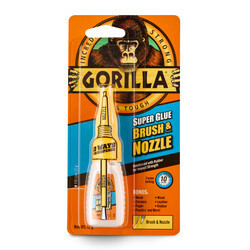 Gorilla Superglue Brush & Nozzle 12g is rated 4.4 out of 5 by 10. Rated 5 out of 5 by Peppers jobs from Excellent glue I brought this to fix a very expensive bin that is a good few years old and has done the job with out any one noticing iv glued it . Rated 5 out of 5 by DLGBoy from Sticky Stuff Needed to be able to brush glue onto bracket to ensure decent coverage Did the trick. 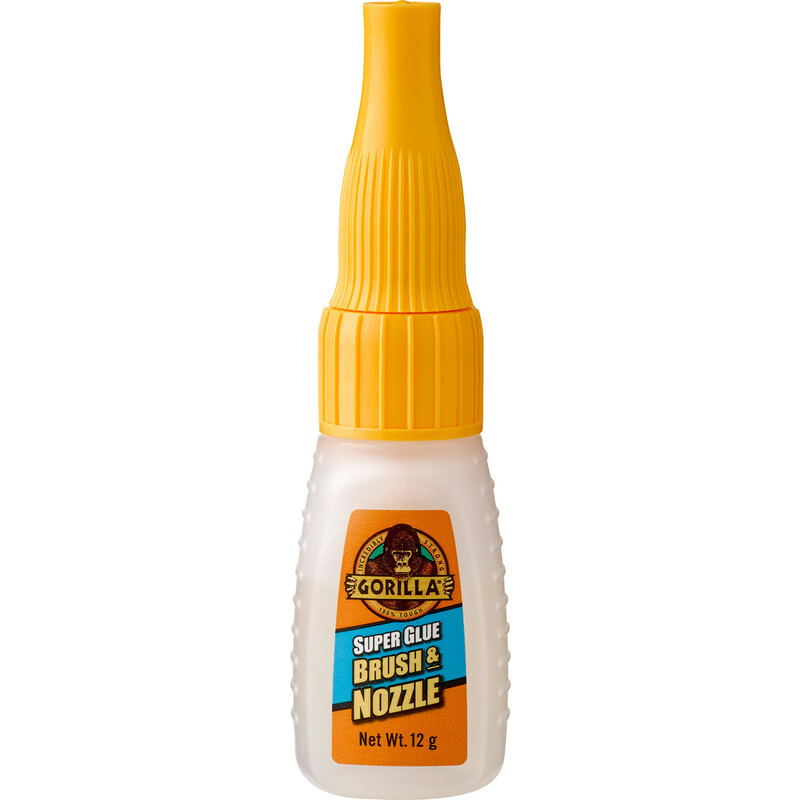 Rated 2 out of 5 by michael 001 from not impressed and i thought i would be bought for a specific job other glues could not fix . Read the hipe , strong bonds in seconds , and bought . would not hold .